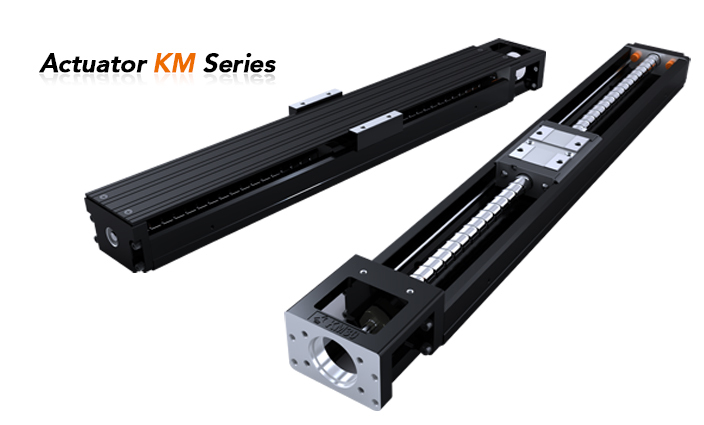 KM series consist of linear guideway unit and ballscrew unit. For saving space, PMI combine the carriage of linear guideway and nut of ballscrew to a integral Carriage-Nut. The carriage-nut cooperate with the U rail designed for high rigidity to achieve the high rigidity and high accuracy in the minimal space, especially to saving time of installation. Moreover, the design of two rows with Gothic-arch groove and contact angle of 45°can bear four directional loading.